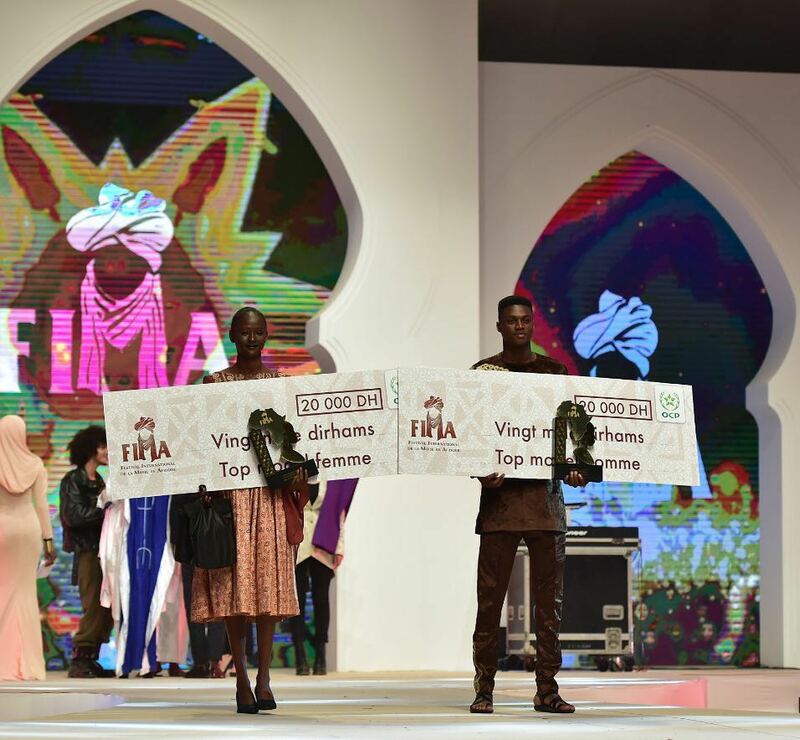 Congratulations to the 2 winners are FIMA, Fatoumta Conte of Guinea Conakry winning best female model, and Akram Adechokan from Benin winning best male model. The two emerged as the winners of FIMAs top model. The two models will walk away with a whopping 20000dh ($5500) and a smile on their faces. Yes, the amount of money some sponsors in Ghana demand titled sponsorship for, is actually giving away as model prize money at FIMA. FIMA, The International Festival of African Fashion (FIMA in french) was created by Alphadi, back in 1998 in Niger, in the desert of Tiguidit; to present and promote the artwork of African designers to the world of arts so that they get the place of recognition they deserve in the fashion sphere. The event took a hit in 2015 when Niger was threatened with a terrorist attack, forcing all the organizers to cease a heavy organized event on the way. Since then the event hasn’t taken place until now, where it found it’s new home in Morocco.